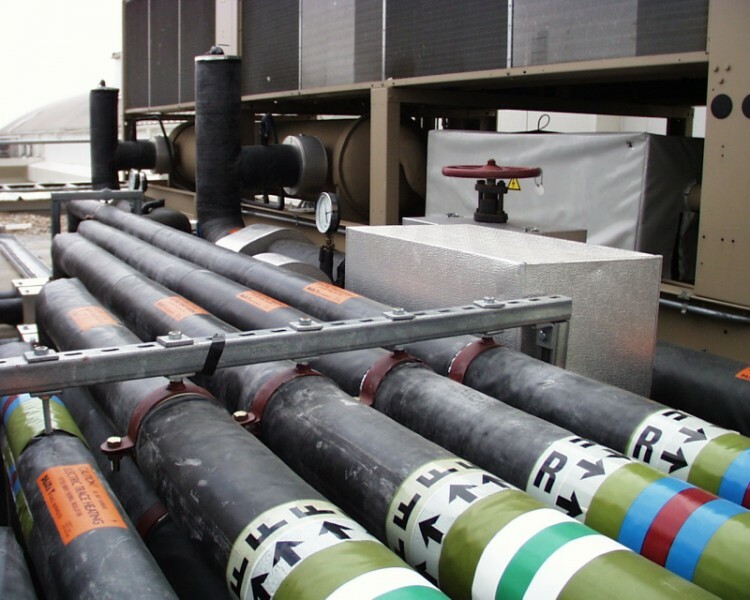 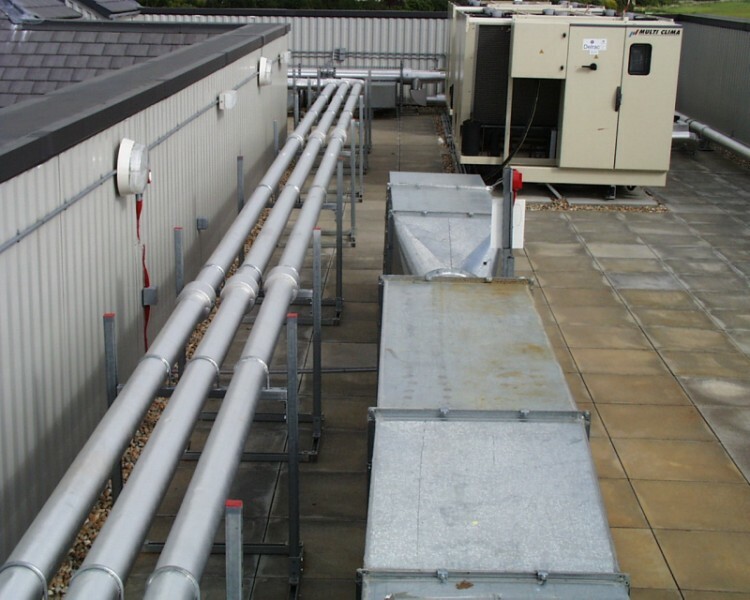 Roof Top Pipework – Right Management Services designed and installed a Unistrut Bracketry system to support extensive Chilled and Heating mains distributing across the Roof to pick up Main Risers on the Reverse Return systems at Maidenhead. 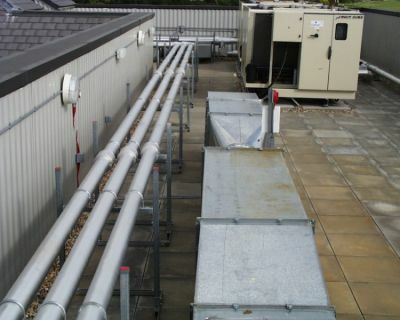 External Chiller Pipework at Bracknell. 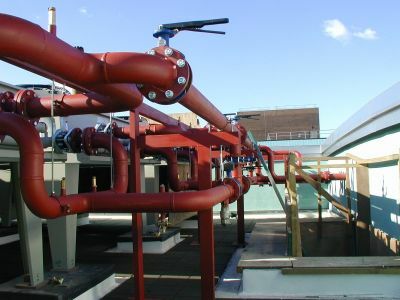 Chiller Connections ready to serve Room Cooling Units at Hendon.